And like a moth that tries to enter the bright eye, I go shuffling out of life, just to hide in death awhile. The Inn is really rolling! I talked to my friends at Zephyr.net, my ISP, and found out that they are running NetCloak, and NetForms. My first project will be to set up a form that will allow people to subscribe to the Goodson list. 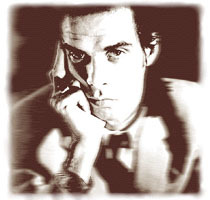 I'd like to thank the people on the AOL Nick Cave Message Board for their support on this project, and many people on the Goodson list for their assistance, especially Maurice! I'm still working on interviews, reviews and articles on Nick (including the Hustler page) Drop me a line if you have any comments (good and bad) about this site.